It’s been a strange weekend for me. My mom left, my husband had a colonoscopy and I also prepped for my colonoscopy which was today. So I don’t have to tell you that I didn’t get much done. 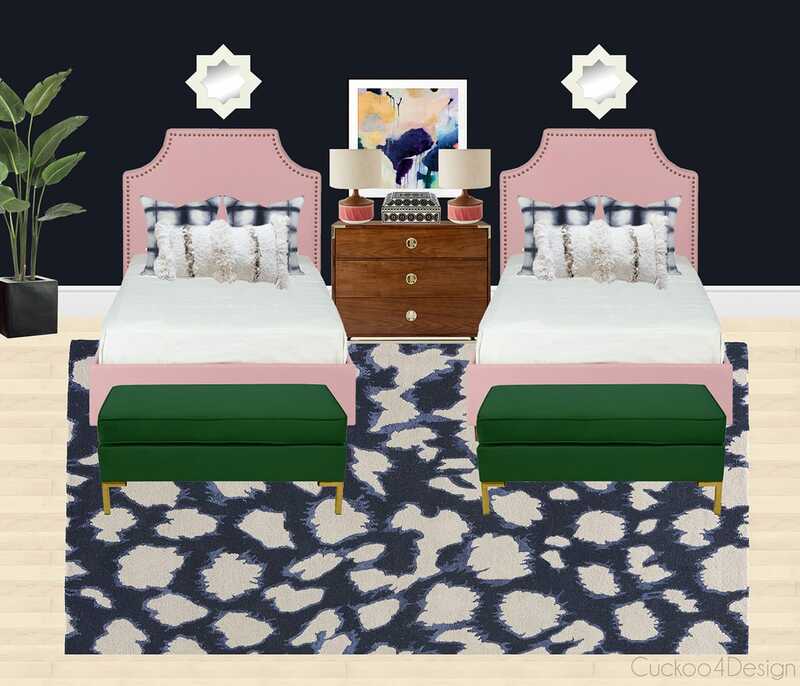 I have been wanting to share a design I have done for a family with twin girls who knew what they wanted. The mom has been loving the blues I have been using lately, the girls agreed but wanted dark walls and some more color throughout the room. And they wanted a popular starburst over the beds but not in gold. I get thrilled when I’m in love with what I come up with and then only to find out that the other end of the deal loves it just as much as I do. And I also adored that I could just pick whatever I thought was right without a budget in mind this time. Those are the best projects. The other end of the room has closet doors and some built in desks which will also be painted the same dark color as the walls. This room would also look great as a guest room or even just with a queen sized bed in a master bedroom. 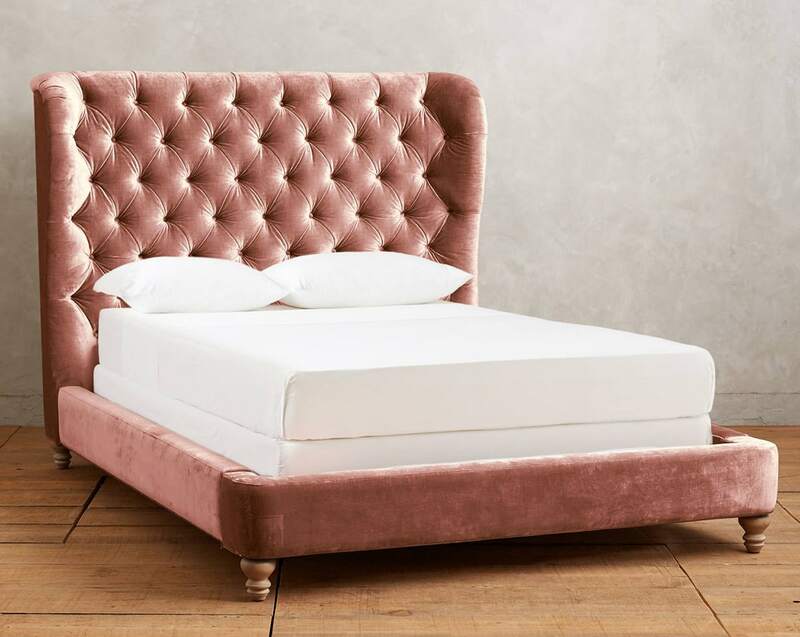 Looks at this queen bed, can’t you picture it in the room. I know that I’m madly in love with that rug, isn’t it great? that design is gorgeous! wishing you lots of luck today!!!!! So sweet, what a lovely design! I really like your post, thanks for sharing. very fun! What software do you use to mock up the room? I love the dark walls and the rug!!! that bed is crazy good! nice job! Pink and green are always one of my favorite combo but that dark wall set it off even more. These girls are so lucky! What a gorgeous room. I love it all!